The purchase of replacement doors and windows can be one that takes time for homeowners. This is because purchasing new doors and windows is expensive and can be an arduous process. 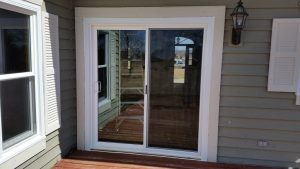 If you are looking to install these, Waukesha, WI replacement windows and doors companies have gathered a few important things to consider that can make the process simpler. One of the first things to know is the kind of budget that you have in mind. This can depend on a lot of things, including the number of windows or doors you have to replace, their size, and the kind of materials that you prefer. To make sure that you have an accurate representation of the costs, look online for the average in your area. Although you have to expect companies to play around with the numbers a bit, you should not hire a company that overcharges or under-charges you. Once you have a budget in mind, it is time to find a reliable company to purchase from. A company that provides windows and doors has to be one that has been in business for a long time and that has preferable worked in the area for a substantial amount, as well. The right company will also be able to offer you references that you can check on. Do this, as well. After this, read online reviews to see what kind of experiences previous clients have had with the company. This can give you a good idea of whether or not you should hire them. Look for quality products. Although it can be tempting to purchase windows and doors that are less expensive, sometimes that is not the best option. Lower quality products will have to be replaced sooner than those that are a bit more expensive but that are of higher quality materials. When you have chosen the company you will be purchasing from, ask to see samples so that you can see the kind finished results you can expect. When you read the reviews on the company, as well, take the time to see if they mention anything about the quality of the products. Read up on the different kinds of windows and doors available. Not every style will fit every home, so knowing about the options you have can save you a lot of time and stress. Ask for a price list and for samples from the company you are interesting in buying from.